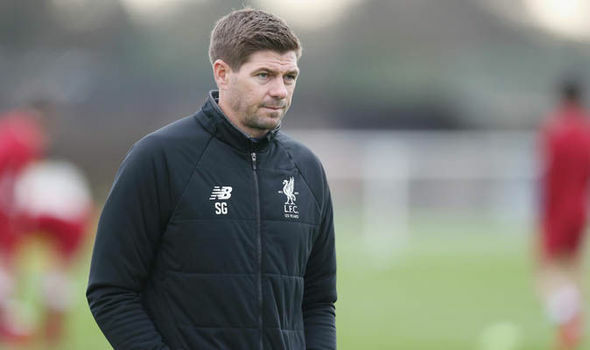 Steven Gerrard has tonight confirmed talks with Rangers, that there’s ‘truth in the rumours’ and that he is busy over the next two days but will continue discussions on Thurday. Speaking on BT Sport for Champions League duties, the 37-year old verified how interested he is in the job, but poured cold water over claims in the press tonight that the deal has been concluded. The Liverpool legend has been in discussions which he says are ‘progressing well’ with the Ibrox hierarchy and if all is pure and holy we could, as we reported on the site yesterday, have a conclusion by the end of this week. Gerrard was clearly not put off by the Old Firm disaster nor the melee surrounding the job, and indeed seems even more keen to become Rangers manager and get one over on Celtic and their manager, Brendan Rodgers. Keep them peeled here, folks. Still reckon Barry Ferguson and Kevin Thomson is the way to go. Both know what it takes to achieve success at Rangers. Skill, guts and born winners. Thomson very shrewd tactically. Give them their chance. Under 20s Coach didn't work, I know,, lets get an under 18s Coach in,, and if that doesn't work, we will get the under 15s and so on and so on until a 3 year old runs our team,,,, ffs,, an absolute farce with no ending!!!! Gerrard is a massive gamble. God help him if he loses two or three of his first few games. Everyone is going on about is inexperience.... That is a concern, BUT I wonder if, and if he is, who is mentoring him. It would appear to be Gary Mc is going to be his assistant, but is there and will there be someone in the background mentoring Gerrard.